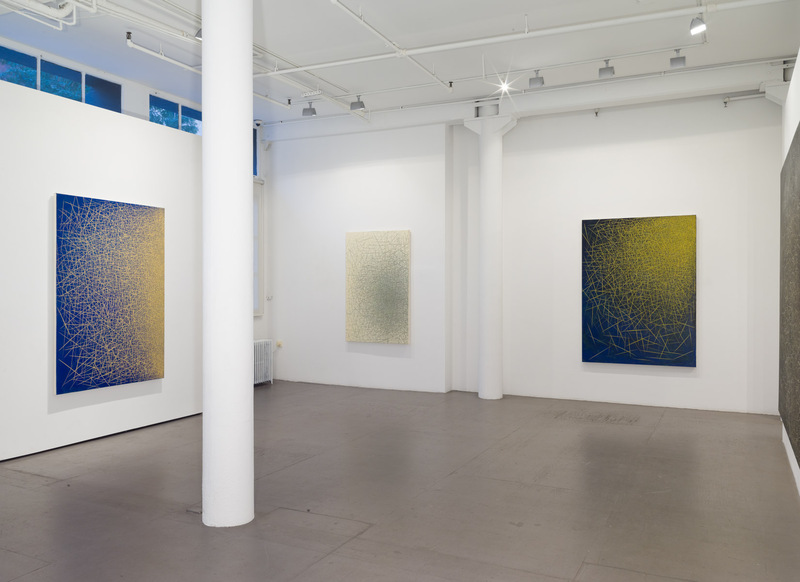 Installation view of Il Lee’s ITW-1203 and BL-1606 in IL LEE: New Paintings / 40 Years in New York at Art Projects International, New York, 2016. 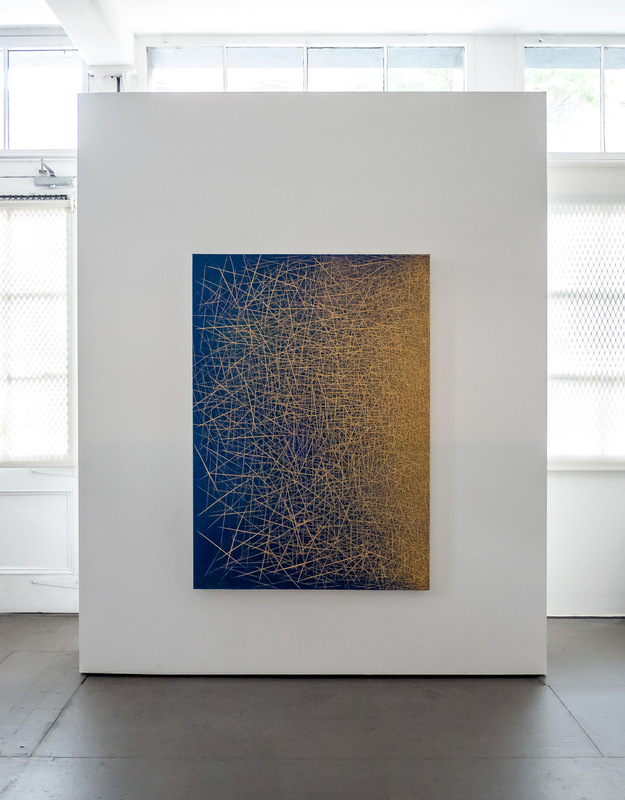 Installation view of Il Lee’s BL-1605 in IL LEE: New Paintings / 40 Years in New York at Art Projects International, New York, 2016. 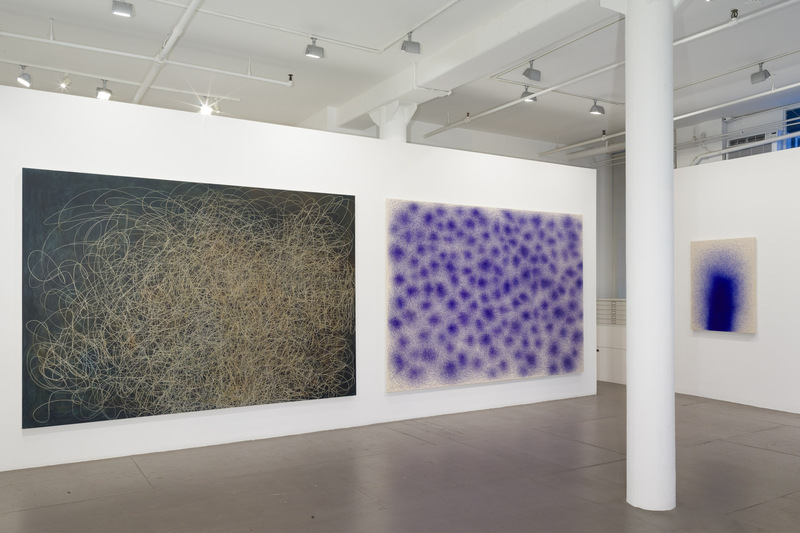 Installation view of Il Lee’s BLY-1602, WG-1601 and BLY-1601 in IL LEE: New Paintings / 40 Years in New York at Art Projects International, New York, 2016. 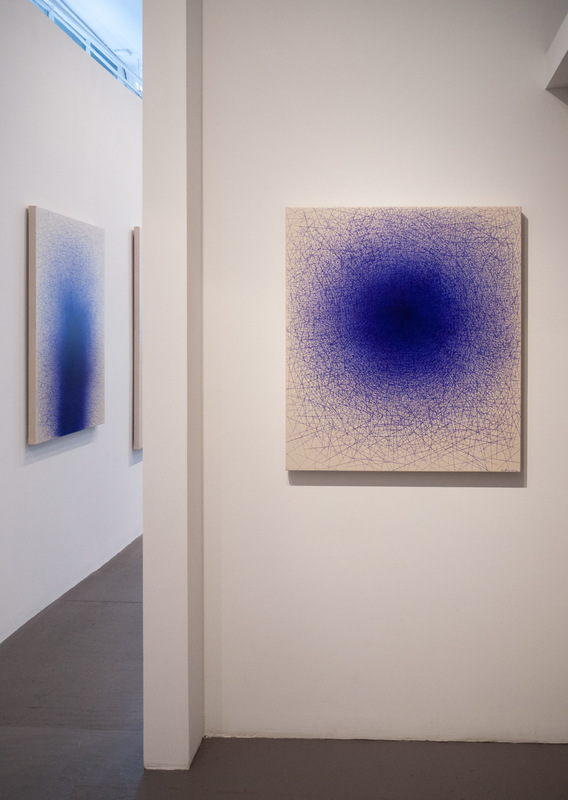 Installation view of Il Lee’s BLY-1602 in IL LEE: New Paintings / 40 Years in New York at Art Projects International, New York, 2016. 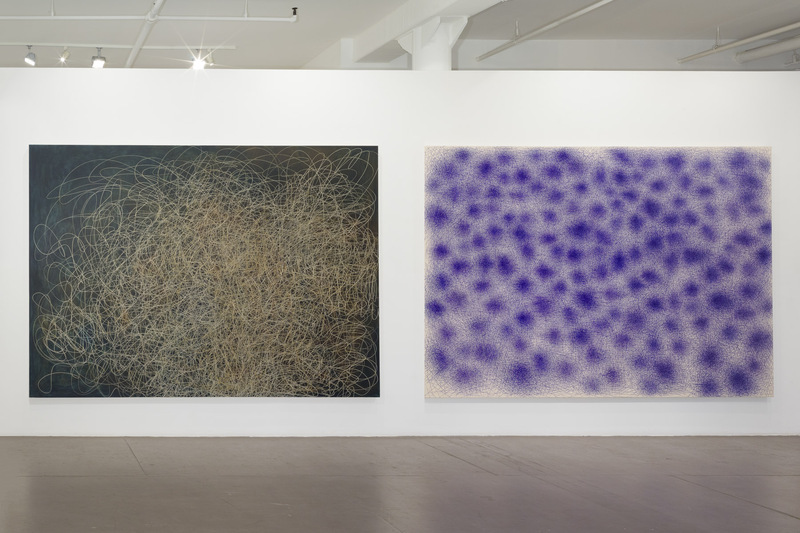 Installation view of IL LEE: New Paintings / 40 Years in New York at Art Projects International, New York, 2016. 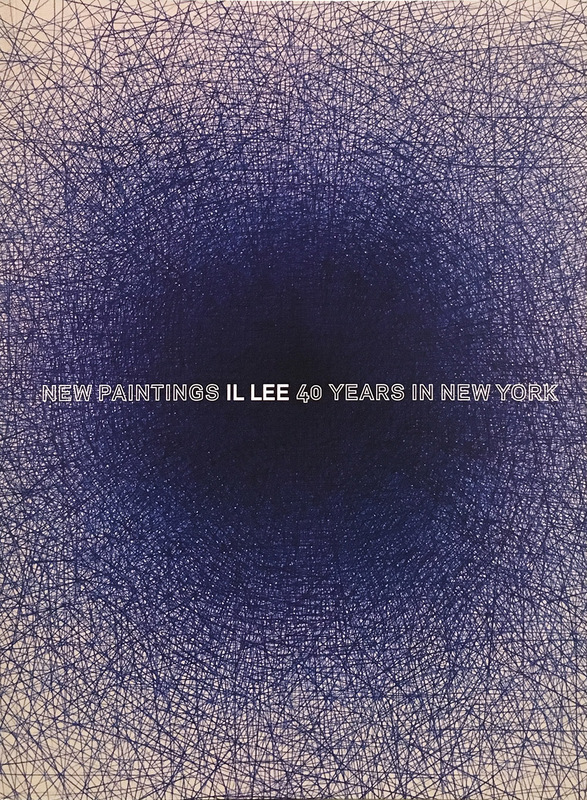 Art Projects International is pleased to present IL LEE: New Paintings / 40 Years in New York. 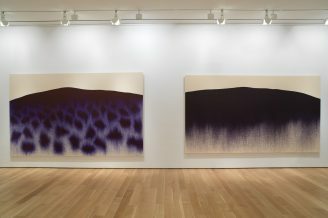 On view from September 22 to November 19, 2016, the exhibition is the largest showing of Lee’s work in recent years and spans his career over the past four decades in New York City. To accompany the exhibition, a fully-illustrated catalogue will be published with a conversation between the artist and Jane DeBevoise, Chair of the Asia Art Archive and an essay by Raphael Rubinstein. The book will be published in October 2016. 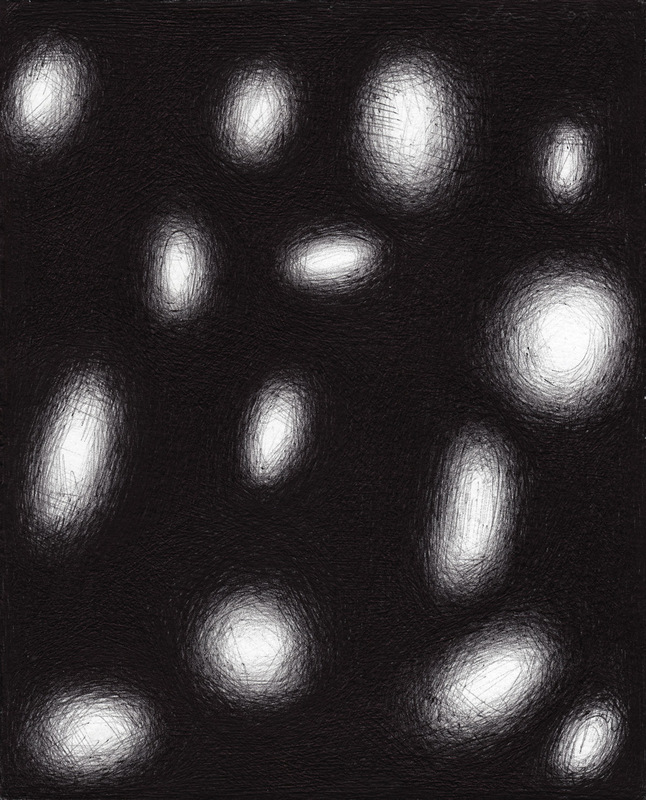 The exhibition consists of two parts: First, presented in the main gallery, a presentation of select works focuses on the latest evolution in Il Lee’s paintings — Lee’s most recent ballpoint ink works on canvas and acrylic and oil paintings, including two large-scale paintings — TW-1203, an acrylic and oil on canvas work and the largest work in the exhibition at 82 x 117 inches, and BL-1606, a similarly visually arresting and monumental ballpoint ink on canvas work that suggests a magical, celestial landscape. 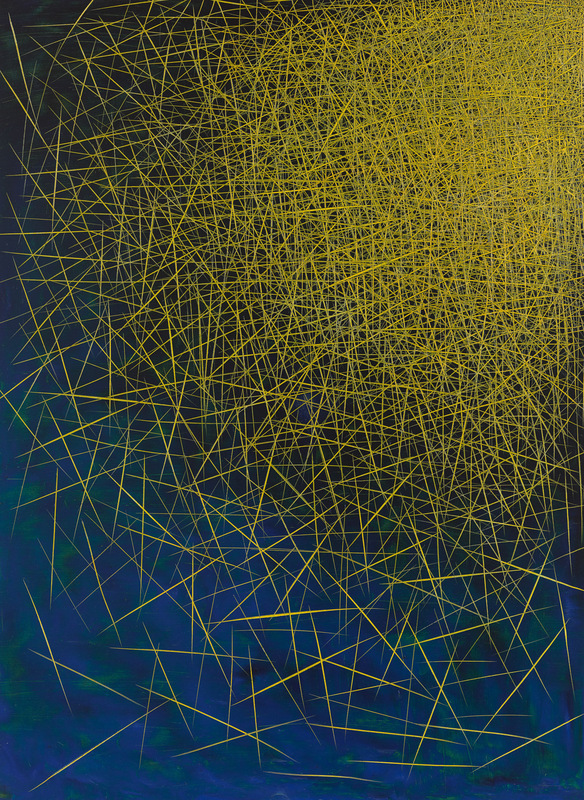 Stunning in their impact and inventiveness, each work in the show display Lee’s ability to create multiple forms as well as a single massive form through the energetic and skillful overlay of thousands of lines. 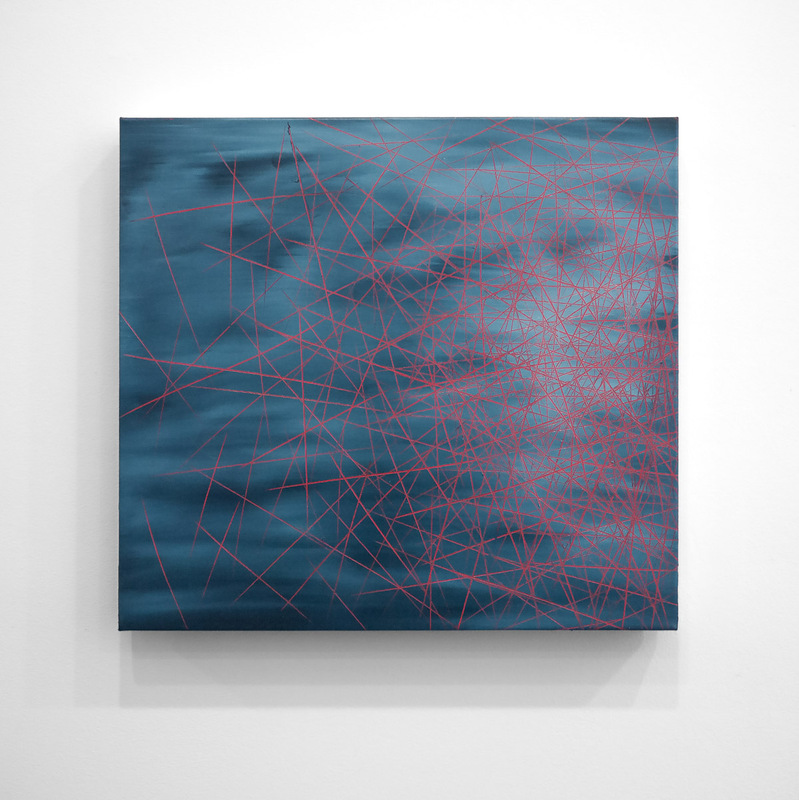 In the gallery’s expanded exhibition space, a special presentation of select works from the late 1970s to the present features a range of Lee’s styles and media over the last four decades. 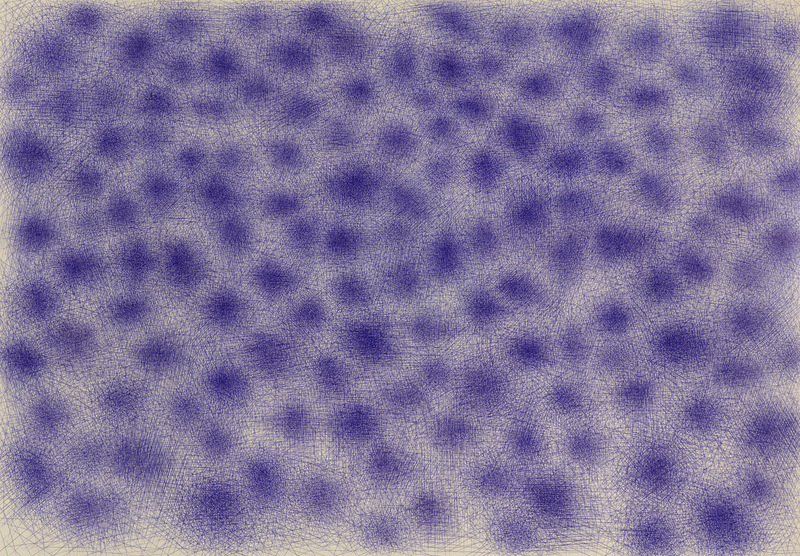 The presentation includes a selection of works on paper along with many never before exhibited early works that offer viewers a historical overview of Lee’s art and provides a rare opportunity to directly follow the disparate art resulting from Lee’s extensive experimentation with theme, surface and technique. 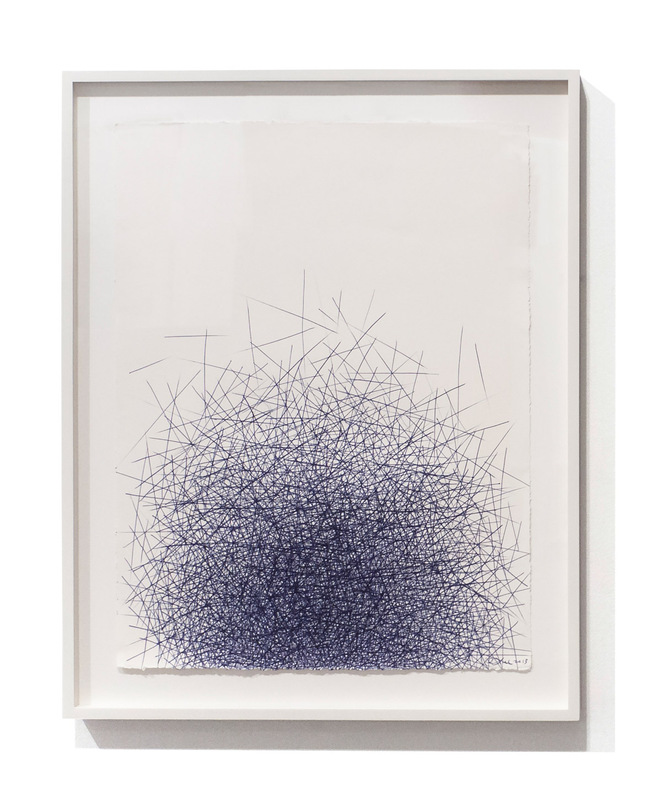 Highlighting the criticality of working on paper to Lee’s practice, a generous selection of works on paper and other smaller works are grouped together. 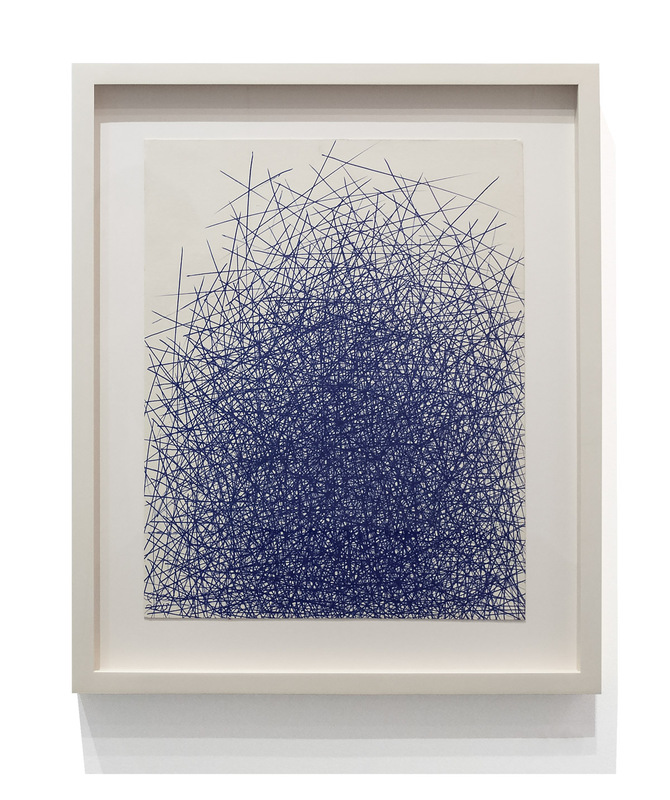 Also on view are several early non-ballpoint works; an early lithograph Untitled (1979); a drypoint etching Untitled (1980); two small crayon and oil on paper works Untitled B (1980) and Untitled R (1980); an acrylic and oil on board Untitled 84-6 (1984); and Untitled 82-A (1982), a stunning example of an early painting drawn with a sharp nail and a precursor to his recent acrylic and oil paintings. 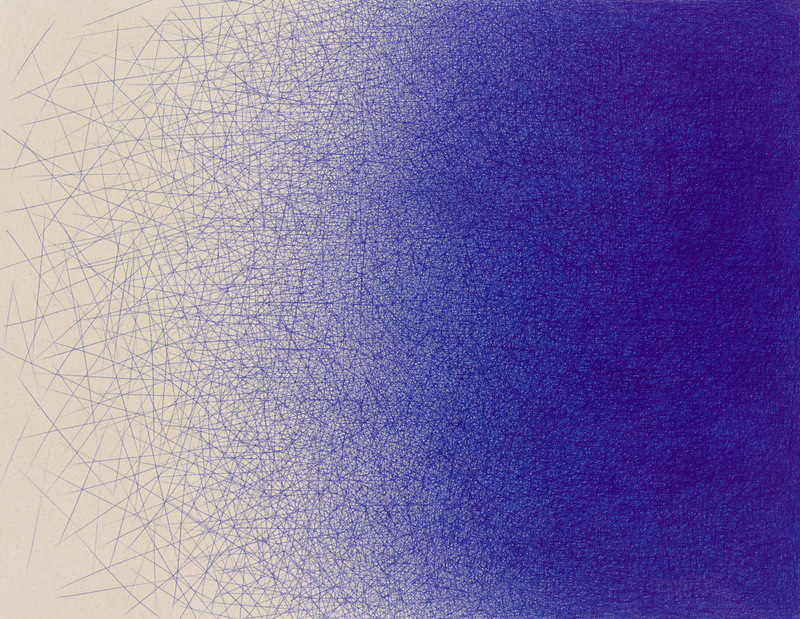 Born and raised in South Korea, Il Lee has spent most of his adult life as an artist in New York City — his home since 1977 and where he developed his signature process and style using ballpoint pen, a medium important to his practice over the decades. 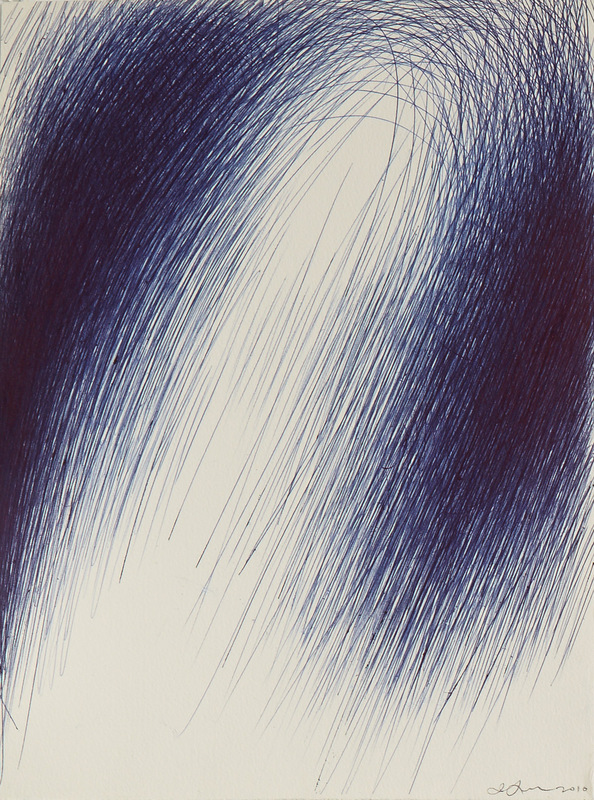 His ballpoint ink work was first exhibited at the Brooklyn Museum in 1981, and for over 30 years, Il Lee has been exploring contemporary possibilities in drawing and painting in his chosen medium of ballpoint pen. 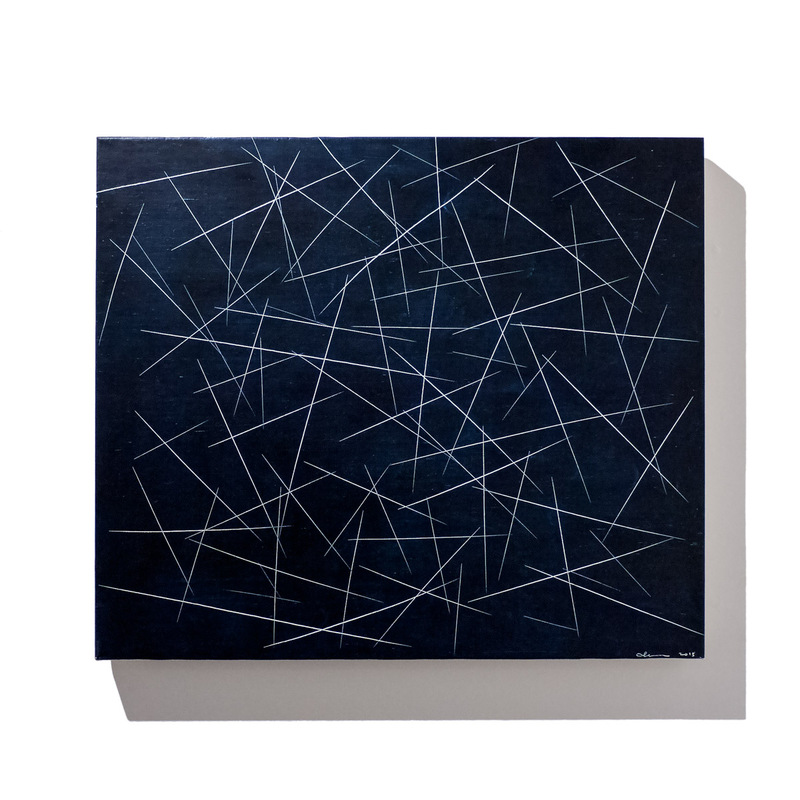 His work, with its unorthodox media and distinctive style, and artistic contributions are widely acknowledged and appreciated by art-viewing audiences worldwide. 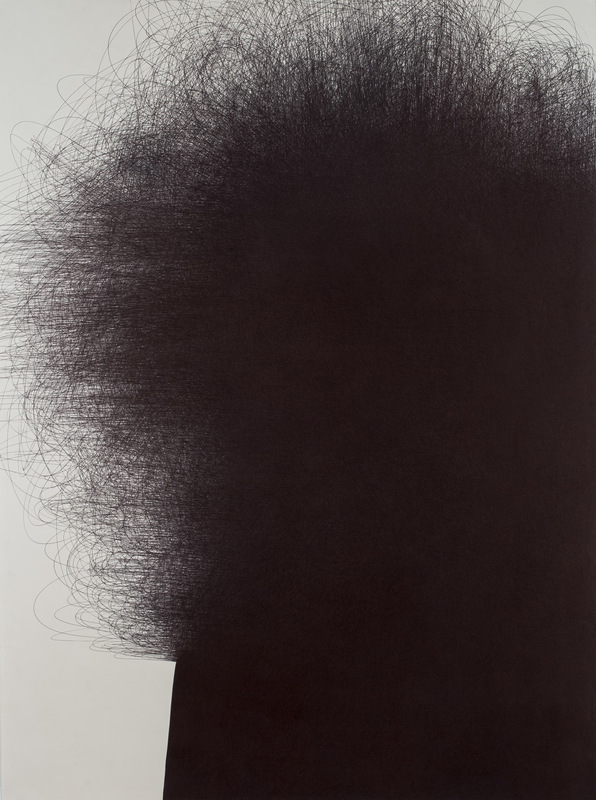 Lee’s simply understated work appears unprecedented and opens up discussions of the new. 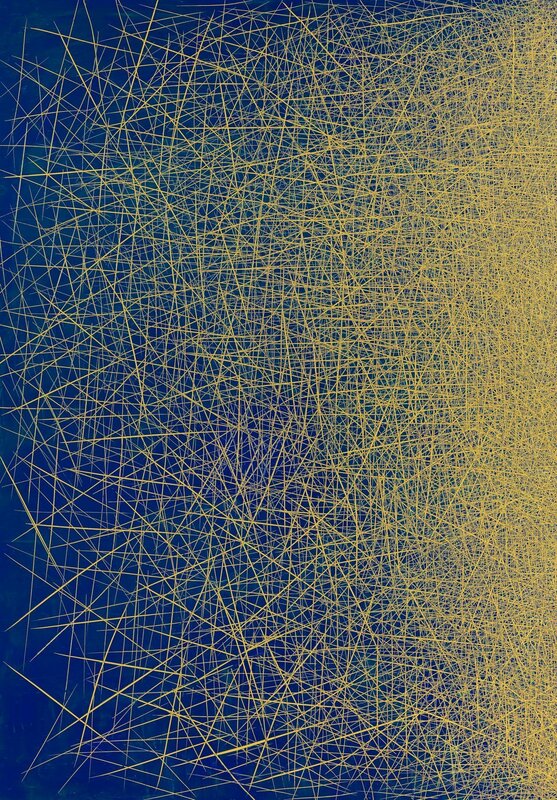 At the same time, it clearly reveals its influences. 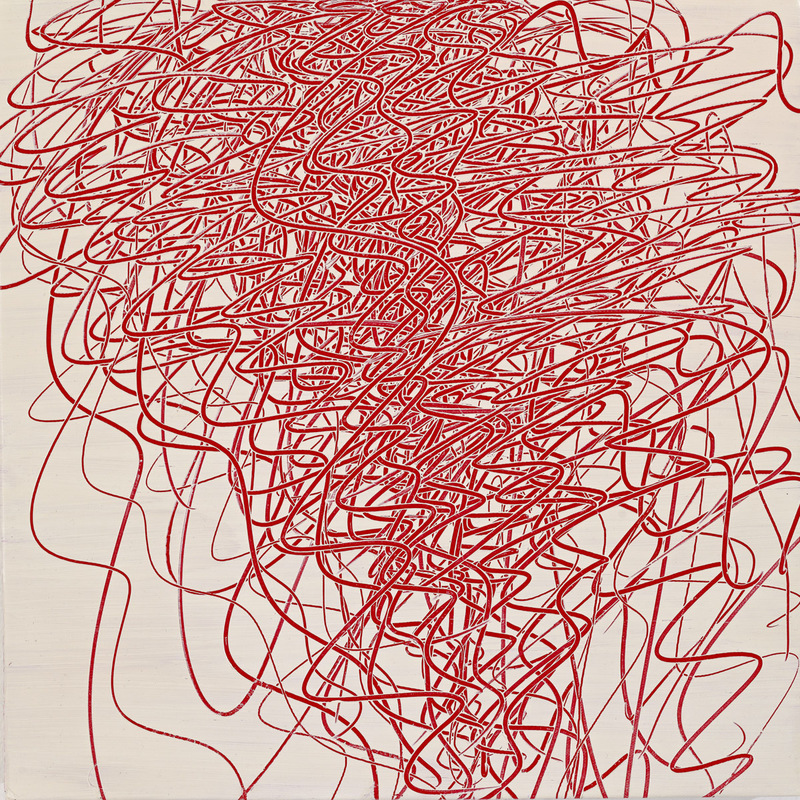 IL LEE: New Paintings / 40 Years in New York will engage audiences to learn more about how various Asian and Western art histories inform the contemporary moment, as they observe Lee address a multitude of concerns through a singular sensibility. 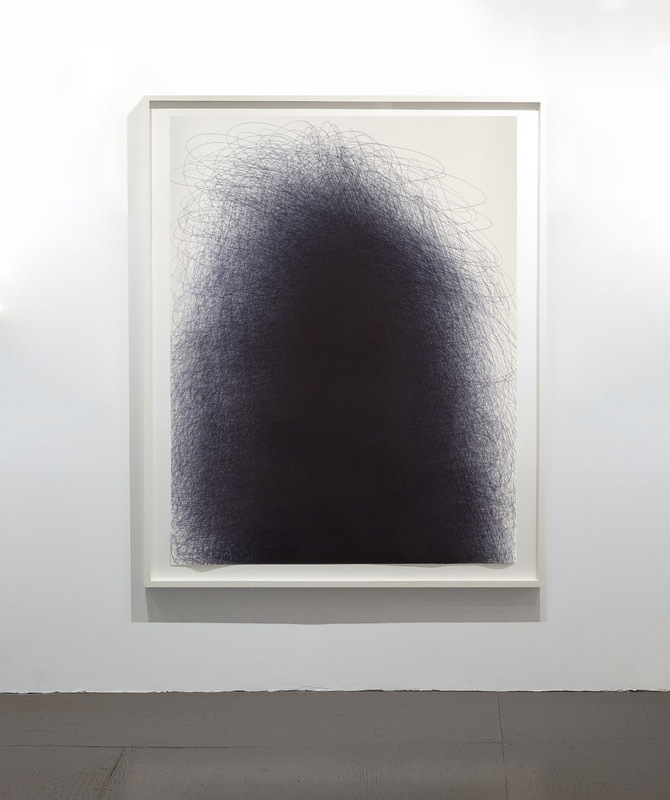 The exhibition also marks the 20th year the artist has worked with the gallery. 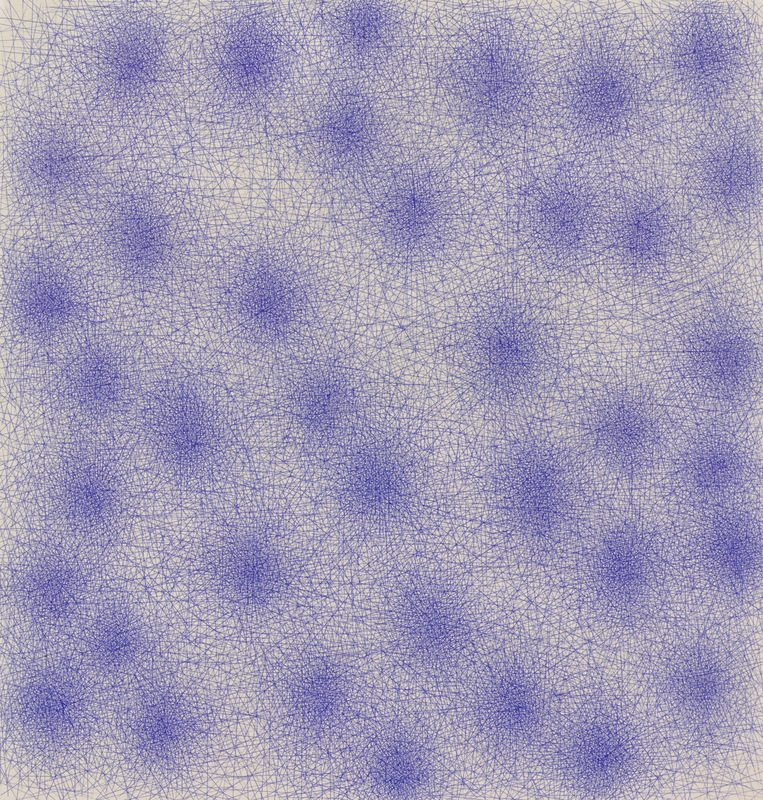 IL LEE (b. 1952, Seoul, Korea. 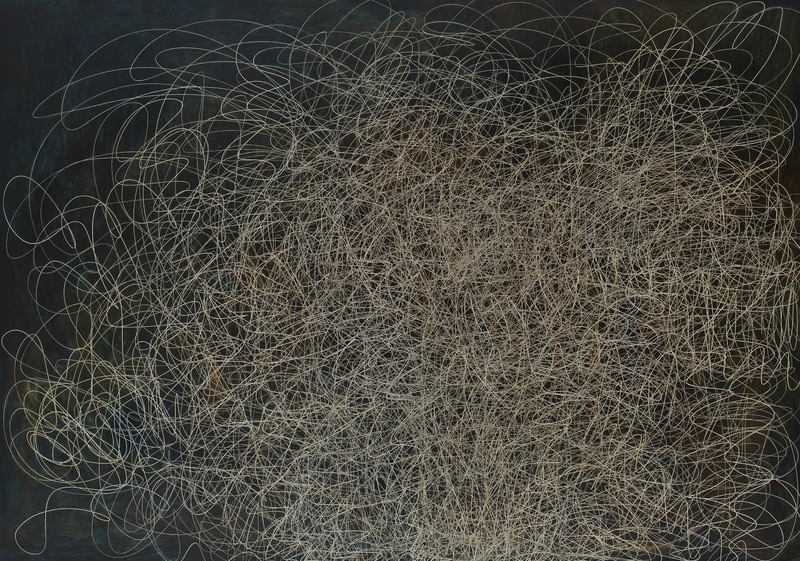 Lives and works in New York City) has been the subject of numerous major solo exhibitions including his critically-acclaimed 2007 mid-career retrospective organized by JoAnne Northrup at the San Jose Museum of Art. 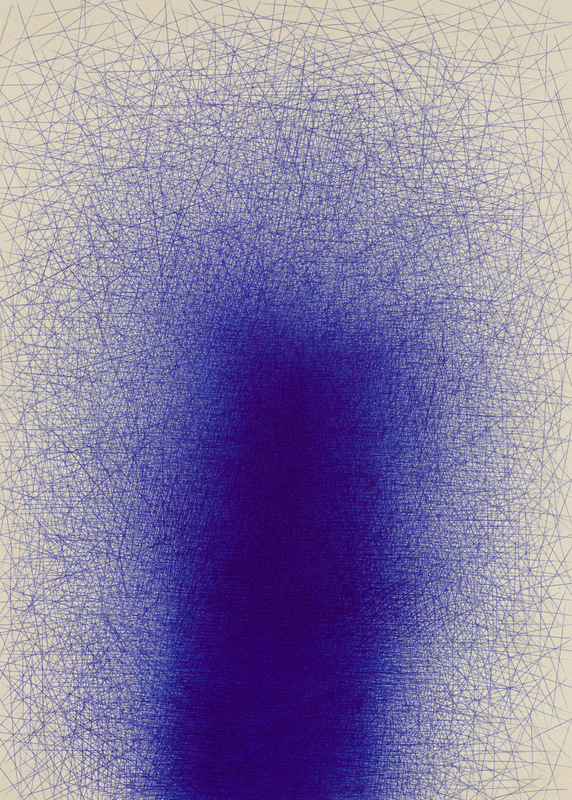 In 2010-2011, Lee exhibited at the Metropolitan Museum of Art and a ballpoint ink on paper work by Il Lee was acquired by The Met’s Modern and Contemporary Art’s permanent collection early this year. 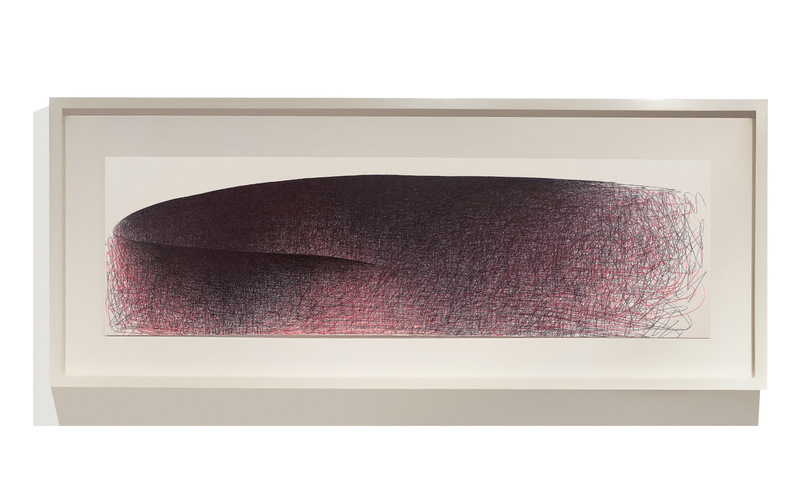 In the last 12 years, the pioneering work with ballpoint pen that Il Lee began 35 years ago and continues today has garnered much critical acclaim and institutional recognition. 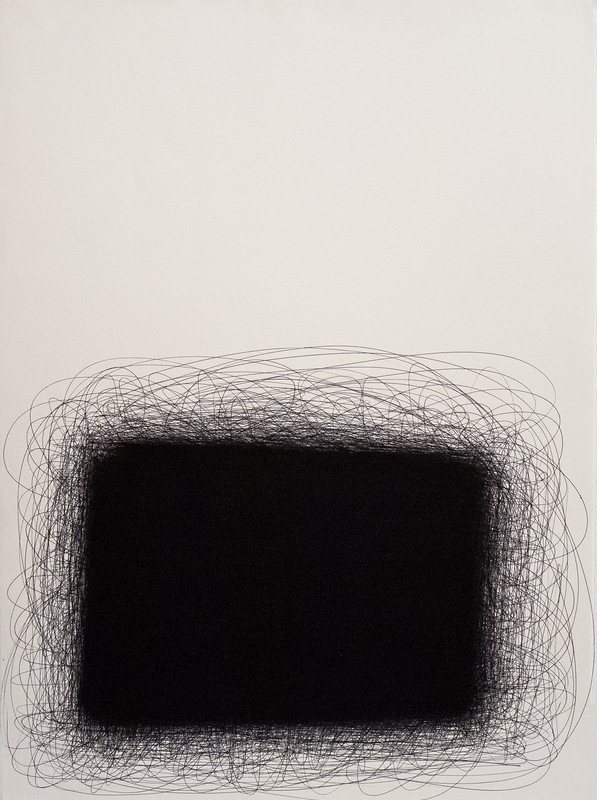 Recent museum exhibitions include: First Hand: Architects, Artists, and Designers from the L.J. 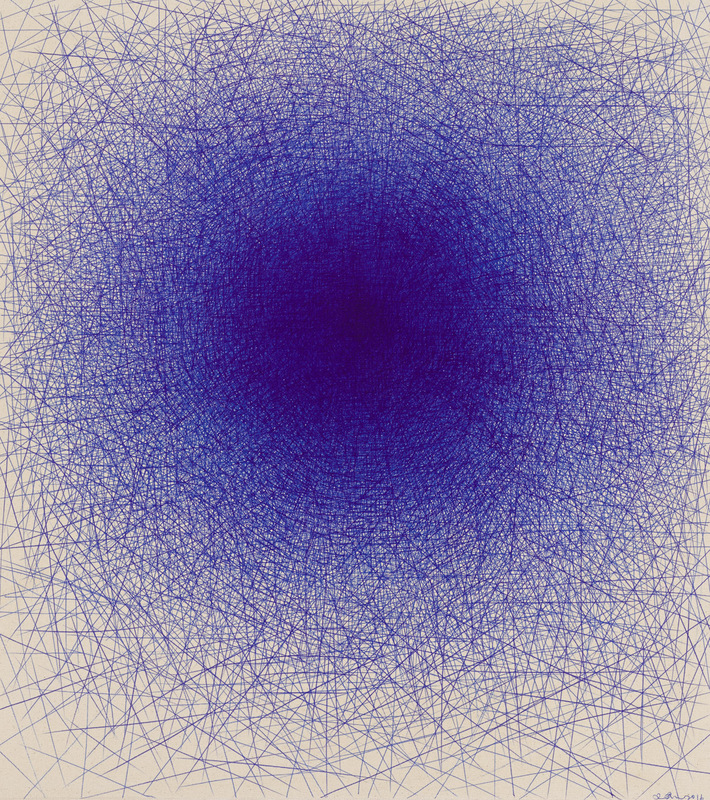 Cella Collection, Palm Springs Art Museum, Palm Springs, CA, 2016; MMCA Collection Highlights: Untitled, National Museum of Modern and Contemporary Art, Korea, 2015; Momentum: An Experiment in the Unexpected, San Jose Museum of Art, San Jose, CA, 2014; Extreme Drawing–Ballpoint Pen Drawing Since 1950, Aldrich Contemporary Art Museum, Ridgefield, CT, 2013; 11th National Drawing Invitational: New York, Singular Drawings, Arkansas Arts Center, Little Rock, AR, 2012; Representation/Abstraction in Korean Art, Metropolitan Museum of Art, New York, 2010-11; New Vision–Ballpoint Pen Drawings by IL LEE, Crow Collection of Asian Art, Dallas, 2010; Il Lee, Vilcek Foundation, New York, 2008; IL LEE: Ballpoint Drawings, Queens Museum of Art, New York, 2007; IL LEE: Ballpoint Abstractions, San Jose Museum of Art, CA, 2007; Open House: Working in Brooklyn, Brooklyn Museum, New York, 2004. 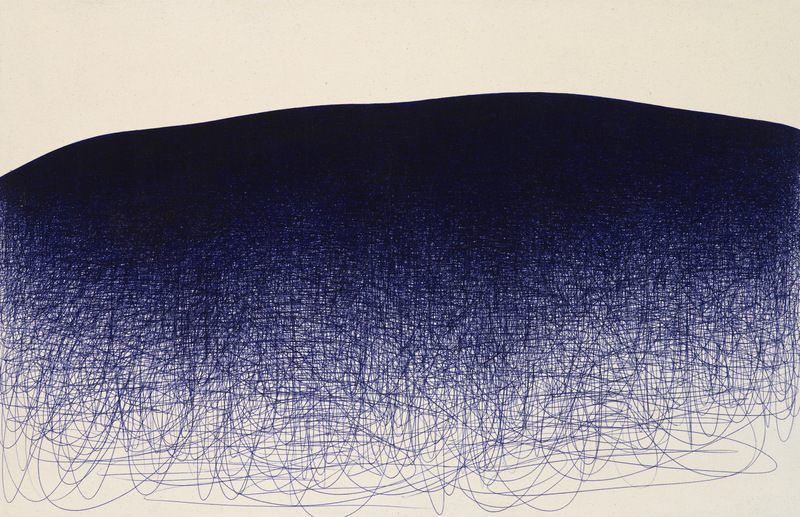 Works by Il Lee are represented in major collections including The Metropolitan Museum of Art, New York; Leeum Samsung Museum of Art, Seoul; San Jose Museum of Art, CA; Vilcek Foundation, New York; Palm Springs Art Museum, CA; Société Bic, France; National Museum of Modern and Contemporary Art Korea; Total Museum, Seoul; Hong-Ik University, Seoul; and Duksung Women’s University, Seoul among others. Reviews and feature articles about Il Lee have appeared in major publications including The New York Times, New Yorker, Artnews, Art in America, Art Asia Pacific, San Francisco Chronicle and Newsweek. 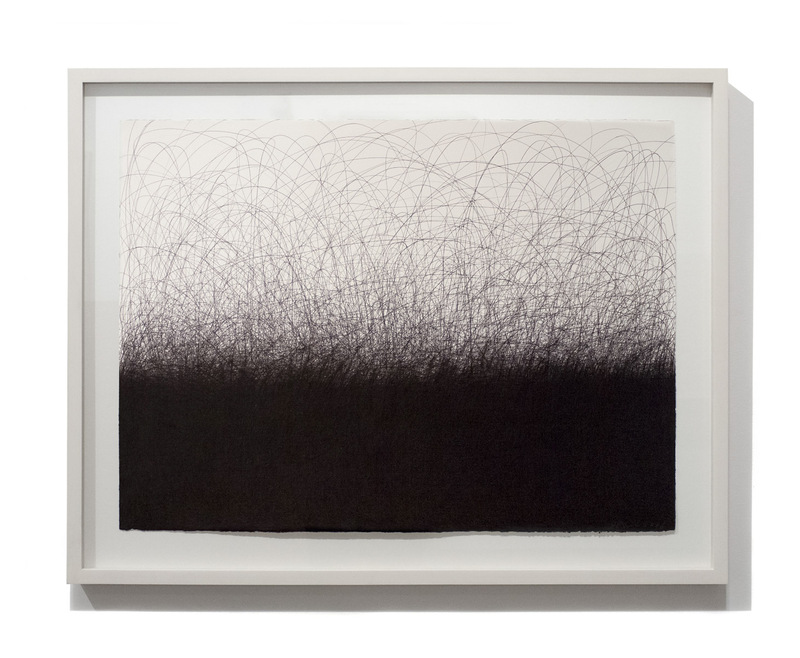 Il Lee is currently featured in the Metropolitan Museum of Art’s The Artist Project.